WE CHECK WHAT SHOULD STAY TOGETHER FOR EVER! In an aesthetic regard, first-rate architecture is increasingly adopting a pioneering role in the field of innovative design. The trend towards buildings flooded with light and with a futuristic appearance, which in spite of the strictest safety measures would seem not to require a massive substructure, makes enormous demands in the areas of static design, materials and engineering. However, by means of comprehensive static calculations and precise tests, the specialists from GIG ensure that architectonic creativity remains virtually free of any limitations in this connection. As a result of leading expertise and top technical systems, we are able to test the materials foreseen by architects under absolutely realistic conditions and thus analyze their characteristics down to the smallest detail. For GIG, innovation means a constant search for fresh approaches and our R&D team employs a range of finely calibrated measuring devices for the in-depth examination of material properties. Basically, these representative, serial measurements serve the verification of static calculations, however they also frequently form a platform for new advances, “Made by GIG”. 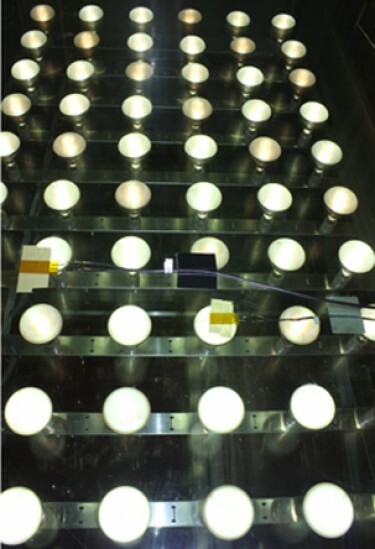 One example in this respect is a sun simulator, which is an exclusive in-company development that permits the precise testing and documentation of the isolation characteristics of glass and the shade capacity of sun protection systems, irrespective of the weather and time of day.